Marc is Legal Counsel & Director of Compliance-Americas at Rolls-Royce North America, the British aviation and power systems manufacturer. Marc primarily helps lead Rolls-Royce’s Defense & Aerospace legal matters, providing counsel to a $2.4 billion dollar business managing all government investigations, litigation, aviation and advanced sciences law. 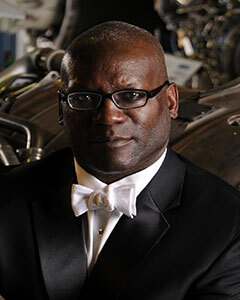 Marc counsels all Rolls-Royce business sectors stretching globally from Canada to Brazil. Marc provides legal advice to nearly every business sector president at Rolls-Royce. Marc has led or co-led some of the highest profile matters facing the company, including investigations by various government agencies around the world (e.g., the UK’s Serious Fraud Office; the US Justice Department; the Pentagon’s Inspector General Suspension and Debarment Office; the Defense Advanced Research Projects Agency; the US State Department Export Control; Brazil’s CENIPA (their FAA equivalent); our FAA, and Ministries of Defense in Israel, Poland, and Australia). Prior to his current position with Rolls-Royce, Marc served as COO and General Counsel for Green Advantage, a national organization administering exams for construction industry trades-people who build sustainable buildings in the US and Canada. Marc also served as Inspector General of the U.S. Government Printing Office, managing a team of 50 attorneys and staff and overseeing management practices at the agency and reporting in a dual capacity to the CEO and to Congressional oversight committees. Prior to embarking on his legal career, Marc worked at what is now JP Morgan Chase in New York and Europe doing securities work as a banker. In addition to his professional duties, Marc is committed to volunteerism in the communities in which he has lived. Currently, Marc serves on the Boys and Girls Club of Indianapolis (a group he once belonged to as a child) and the Sapphire Theatre Company boards of directors, the latter of which he chairs until next month, closing out a successful two-year term. He also serves as a member of the National Association of Wabash Men and co-chair of its Alumni Advancement Committee. Marc, a tuba player for 16 years (as well as a trombone and sax player), is also a member of the board of directors of the Indianapolis Symphony Orchestra and the Indianapolis Zoo. For ten years, Marc also served on the Business Council of the Human Rights Campaign, aiding companies in being more responsive to their gay and lesbian employees and is the founder of Rolls-Royce’s Propel with Pride!, the LGBT employee resource group at the company. Marc is a member of the US Supreme Court, US 10th Circuit, US District Courts of Colorado and DC, Southern District of Indiana, as well as the Indiana, Colorado and District of Columbia Bars. Marc received his AB from Wabash College in 1992 and JD from Washington and Lee University in 1998. Marc is a philosopher by nature and an ethicist by profession. His work and community giving reflect this holistic view of his life. 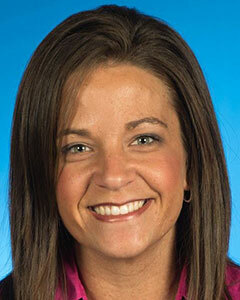 Kourtney Barrett received a Bachelor’s of Science in Public Relations and Advertising from the University of Southern Indiana and as Master’s of Education in Student Affairs in Higher Education from Western Kentucky University. Ms. Barrett has focused in the field of conduct, conflict resolution, and Title IX for the last 10 years and has received certified training in conduct adjudication, mediation, social justice mediation, Title IX investigations. Ms. Barrett will be celebrating her fourth anniversary with Indiana State in May and genuinely enjoys being a part of the Sycamore family. 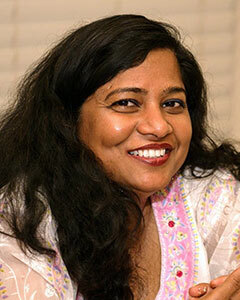 Dr. Shikha Bhattacharyya is a biologist-turned-environmental activist who has found her life’s mission in educating local communities about trash and its impacts on human life. She complements her passion towards environmental sustainability endeavors through a non-profit organization, reTHink, Inc., committed to create a cleaner and greener Terre Haute. Dr. Bhattacharyya has worked as a Pharmacist for over six years in hospital and retail settings. Her educational background includes a PhD in Biomedical Studies from Baylor University, a Masters in Biochemical Engineering and an undergraduate in Pharmacy. 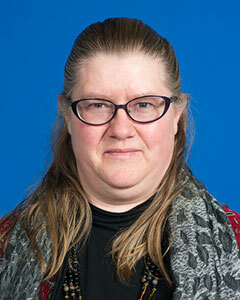 Ruth Fairbanks has taught at Indiana State since the 2010/2011 school year. She completed her doctorate in history from the University of Illinois in December 2015. Her dissertation, “A Pregnancy Test: Women Workers and the Hybrid American Welfare State,1940-1993” traces the evolution of American maternity policy for working women, from WWII's Rosie the Riveter to the Family and Medical Leave Act. Dr. Fairbanks is revising this manuscript for publication. At Indiana State, in addition to teaching in both gender studies and history, Dr. Fairbanks advises students in the Gender Studies Minor and works on campus programming, in particular for Women's Equality Day every August 26th and the ISU Women's History Month Colloquium every March. 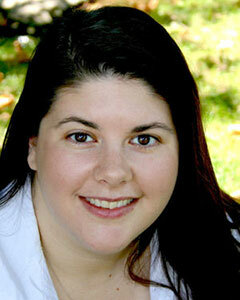 Dr. Lori Henson is assistant professor of journalism in the Department of Communication. She studies how news media covers the culture wars and teaches communication law, ethics, and reporting. She earned her doctorate in mass communication after a 10-year career as a newspaper journalist. 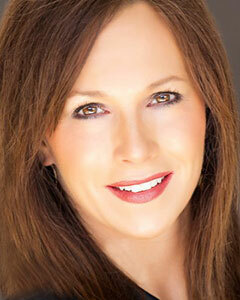 Shelley Klingerman has been the Owner/President of the Stiletto Agency for almost six years. Stiletto Agency takes the mindset and principles of military and law enforcement and apply to the corporate environment. There are many lessons to be learned and applied that result in a new, positive corporate culture.They provide training to business travelers on how to be vigilant and aware when working abroad. The lessons and skills meant to be passed along to family, friends and colleagues. 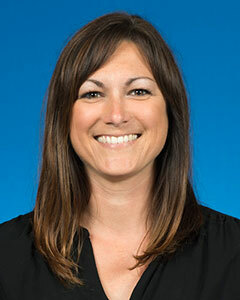 Angie Lansing, currently assistant athletics director for business operations and senior woman administrator, has been named interim director of intercollegiate athletics at Indiana State University effective January 4, President Daniel J. Bradley announced today. Lansing serves on the local planning committee for the NCAA Cross Country Championships held by Indiana State. In 2014, Lansing was named to the NCAA Division I Track and Field Committee which will run through 2018. She is currently serving a one year appointment as the chair of the committee during the 2015-16 academic year. 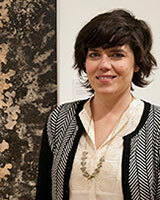 Meredith Lynn is the University Gallery Director at ISU, where she also teaches arts administration. Prior to coming to ISU, she was the Executive Director of the Rourke Art Museum in Moorhead, MN and the Nemeth Art Center in Parks Rapid, MN. Her particular areas of interest are interactive and digital art. Craig M. McKee has practiced law with Wilkinson Goeller Modesitt Wilkinson & Drummy, LLP in Terre Haute, Indiana since 1985. He has a general practice, focusing in litigation, health care, and mediation. He also was appointed in 2007 as U.S. Magistrate Judge (part-time) for the U.S. District Court, Southern District of Indiana, Terre Haute Division. In that capacity he handles preliminary federal criminal proceedings for the nine Indiana counties in the Terre Haute Division. 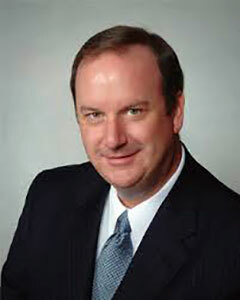 McKee is a native of Terre Haute and was graduated from Indiana State University in 1979 with a B.S. degree in speech communication and journalism. He earned the J.D. degree from the Indiana University School of Law at Indianapolis in 1983. His legal career began as a law clerk for U.S. District Judge Gene E. Brooks in Evansville (1983-1985). He has been involved in multiple community activities, including service to United Way, the Terre Haute Rotary Club, and is a former president of the Greater Terre Haute Chamber of Commerce and the Terre Haute Bar Association. He currently serves on the Indiana Historical Society Board of Trustees. McKee formerly served eight years on the governing board of Washington National Cathedral (2005-2013) and currently is a Trustee of the Protestant Episcopal Cathedral Foundation in Washington, DC. McKee and his wife, Diann, reside in Terre Haute. Diann is the Vice President of Finance and Administration at Indiana State University and has been employed by the university for 30 years. Devyn Mikell is currently a Senior in Supply Chain Management. 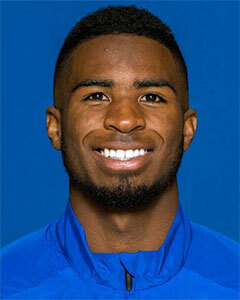 While at Indiana State he has competed for the Track & Field team. Apart from school and business, Devyn enjoys collaborating with people, watching good movies, and playing video games (on the rare occasion where time is available). As one of the Co-founders of Twisted Fry, Devyn handles Marketing and Operations. You can also catch him preparing food for the customers while on the food truck! Marsha Miller is a Librarian. At Indiana State since 1985, she received her A.M.L.S. from the University of Michigan, and a B.A. in History from Central Michigan University. 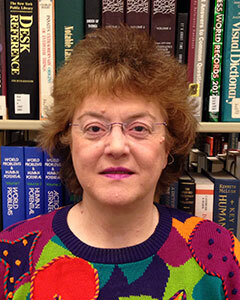 She has conducted more than 4,400 instructional sessions as a Reference/Instruction Librarian, and has taught Comm 101. Her current liaison areas are Multidisciplinary Studies (especially Gender Studies), School of Music, Social Work, Applied Health Sciences, Applied Medicine & Rehabilitation, Kinesiology, Recreation and Sport. Marsha has made presentations at Indiana State Events such as the Women’s Studies Colloquium and Work-Life Integration Conference. 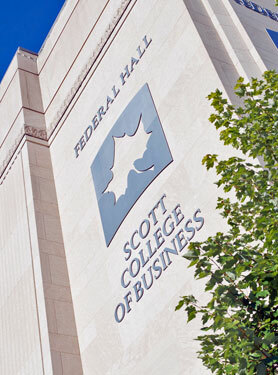 With her connections to the American Association of University Women (State President, Indiana webmaster/social media), she previously presented at the 2015 Ethics Conference on Pay Equity. She is the faculty advisor to the new Indiana State Planned Parenthood group, and is a member of the League of Women Voters of Vigo County.